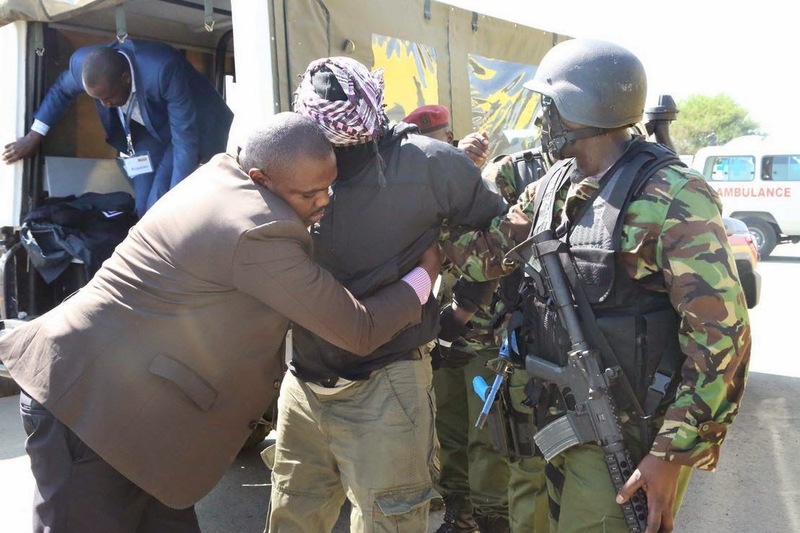 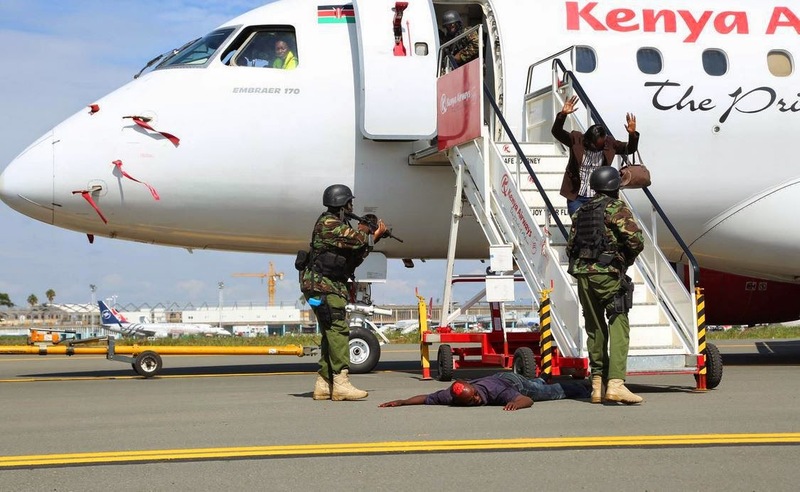 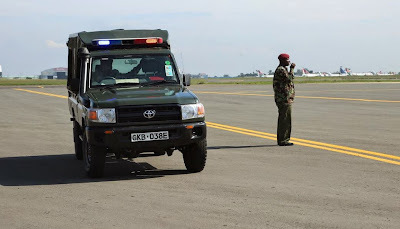 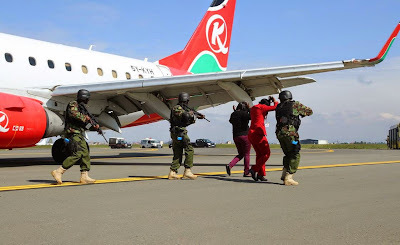 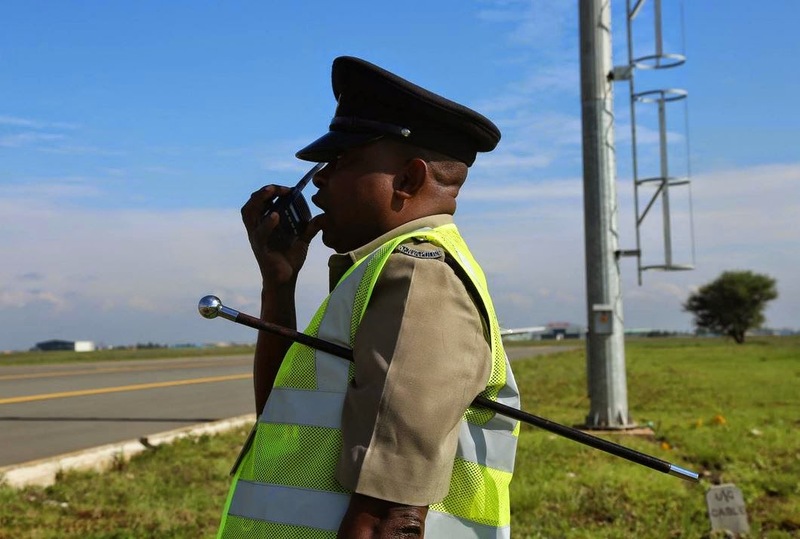 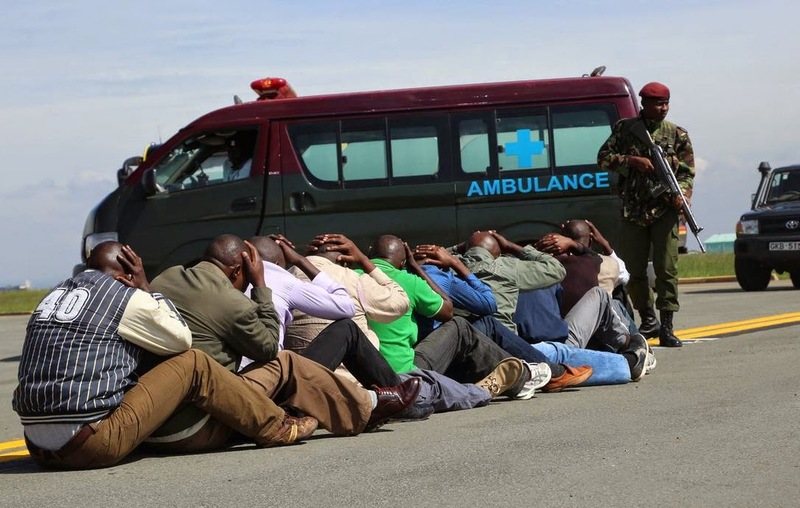 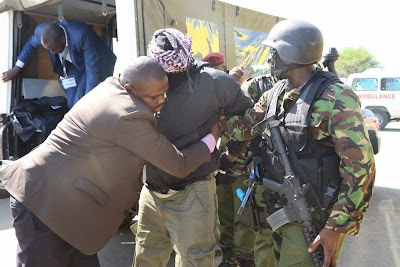 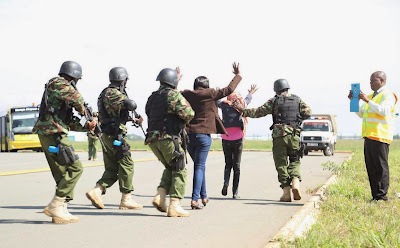 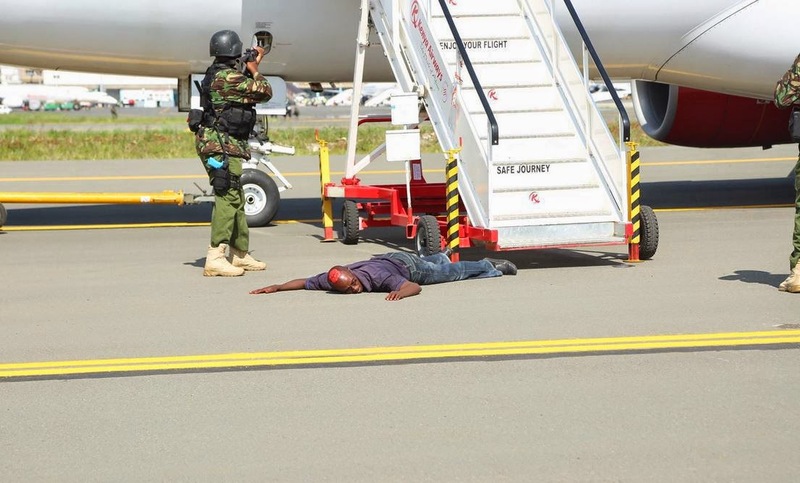 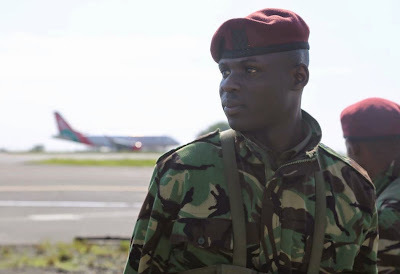 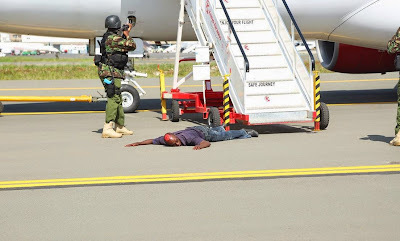 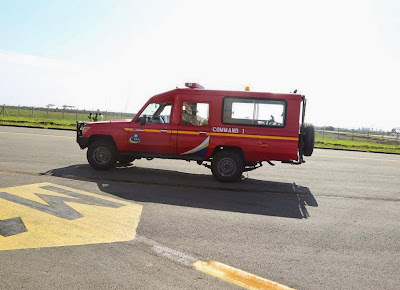 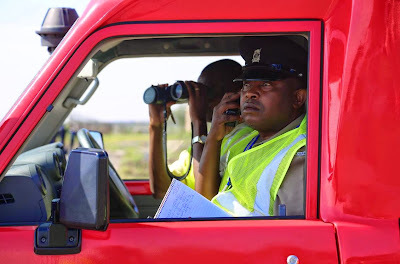 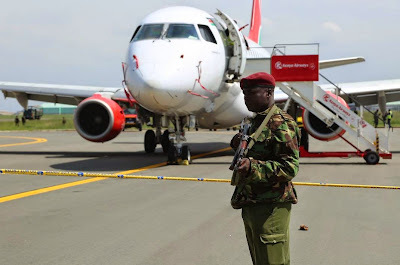 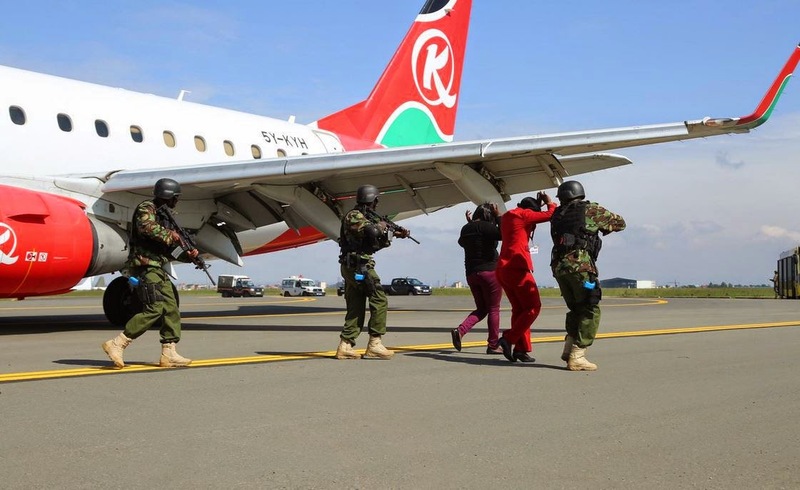 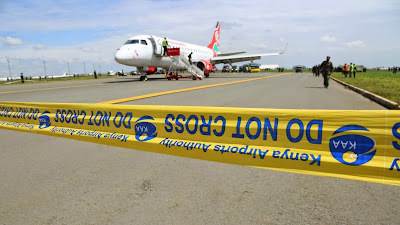 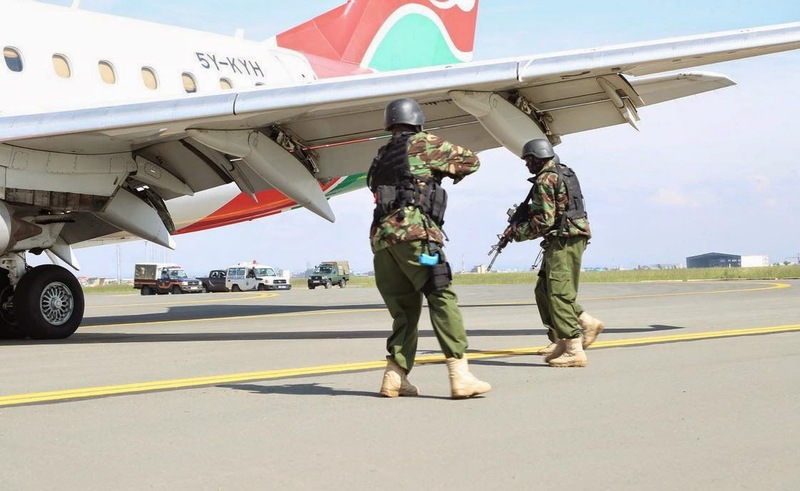 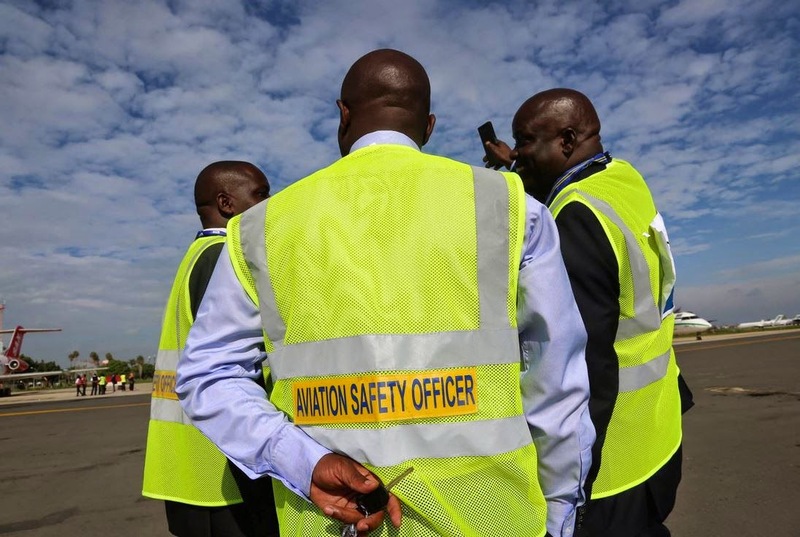 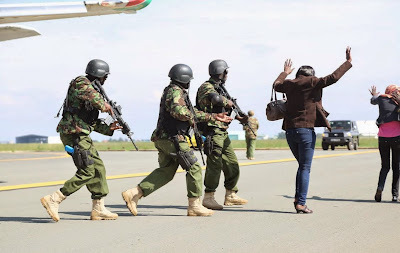 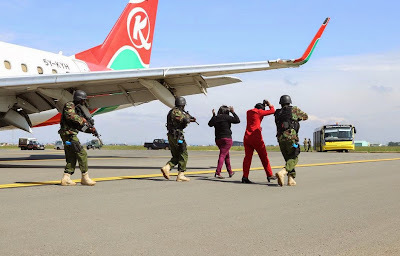 The GSU Recce squad yesterday morning carried out a mock terrorist attack at Jomo Kenyatta International Airport, briefly causing a panic among some travelers. 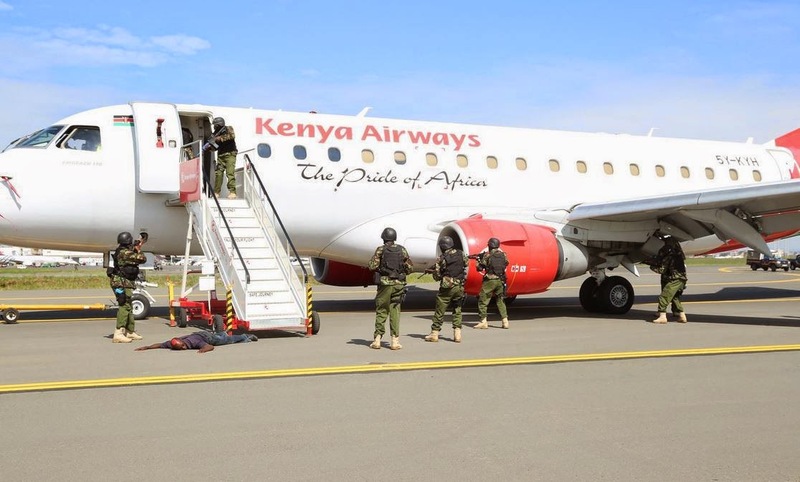 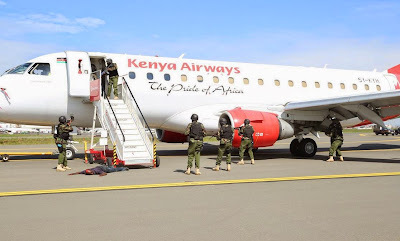 The scenario was a group of Terrorist this morning hijacked a flight KQ that was set to leave for Malindi. 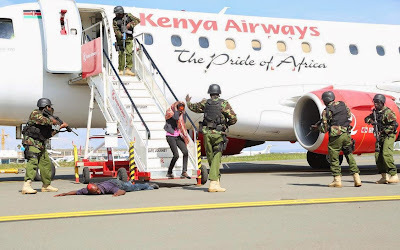 The flight had about 30 passengers and crew and the terrorists asked for food, refueling facilities and a flight plan to their destination of choice. The GSU Recce team neutralized the threat, with casualties being evacuated by the Red Cross to various city hospitals. 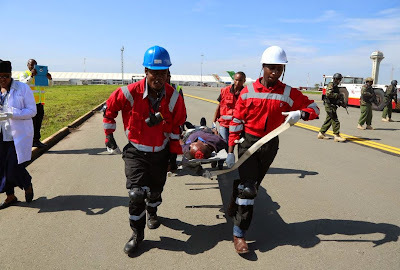 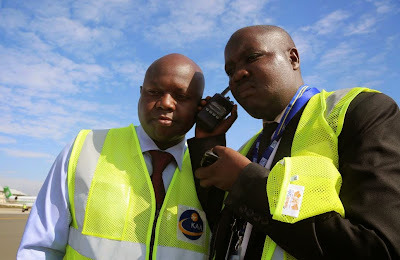 All the airports in the world are under the ICAO regulations and standards are obligated to do such drills once every three years to increase their preparedness.